Question: Capital budgeting An investment requires an outlay. 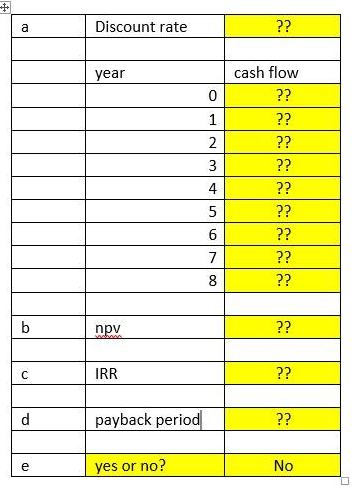 First draw the time line and specify the cash outflow and inflow for each period. Calculate the net present value. Calculate the Internal rate of return of this investment.